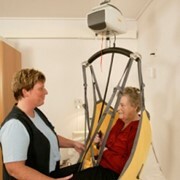 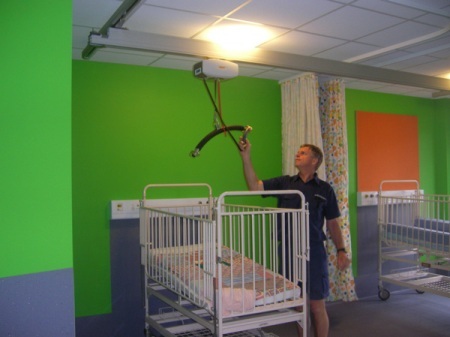 Guldmann Ceiling Hoists offer full flexibility for the lifting, transferring and transport of elderly and disabled persons in private homes, hospitals, institutions and swimming pools. 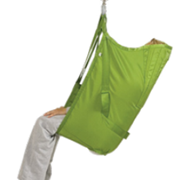 Additionally the Guldmann lifting module comes with the option of being fully portable. 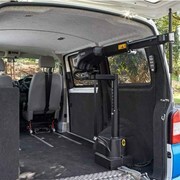 This portable option makes Guldmann easy to move from one room to another as it installs and removes itself from the rail system automatically. 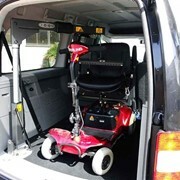 With the help of the specially designed transport and storage trolley, it can be moved without putting a strain on staff. 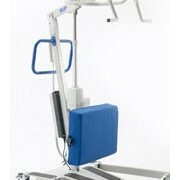 The Guldmann hoist is suitable for mounting in single-track, multi-track room covering and combined rails systems. 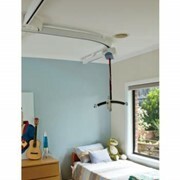 A full range of lifting slings are available and the hoist system can handle all lifting situations. 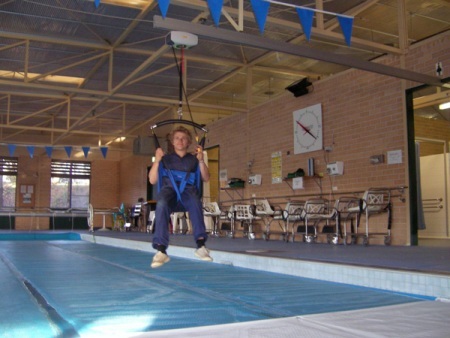 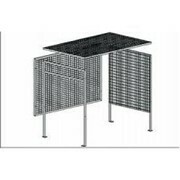 By combining this hoisting system with Para Mobility's expertise in designing and manufacturing engineering structures, we can accommodate the specific needs required by clients.